First Meeting of the Taranaki Branch. President Chris Avery is back row, fourth from left. 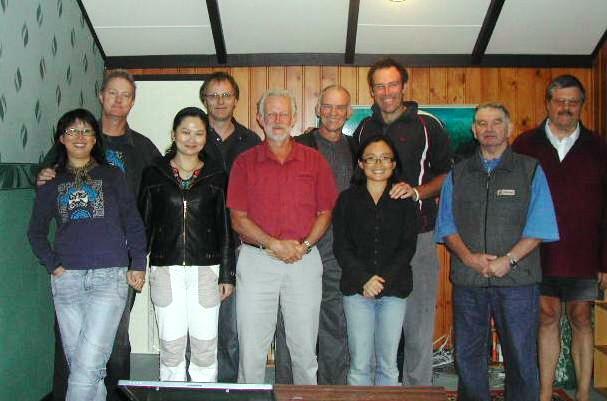 Welcome to the Taranaki Branch of the New Zealand China Friendship Society. This branch has recently come out of recess and is currently the newest in New Zealand. The branch wishes to support and associate with all local Chinese orientated groups and will aim to facilitate greater understanding with Chinese culture and language. We believe mutual understanding benefits all. We meet 10 times a year every 2nd Friday for the months of Feburary till November at the Citizens Advice Bureau at 7pm. We support the New Plymouth District Council in our sister city relationship with Kunming. Annual membership: Single $20, Couple or family $25, Senior single $15, Senior couple $20, Student $10, Corporate $50, Educational Institution $30. To join the NZCFS Taranaki Branch: please complete the online membership application form below. Please fill in the form below to join the Taranaki Branch of the New Zealand China Friendship Society Inc.